Have you had an accident in Dudley that was not your fault? We understand that it can be a very distressing experience but you could be owed compensation. Our Dudley team of personal injury solicitors have extensive experience in personal injury and accident compensation claims and are here to help you get the compensation and justice you deserve and are entitled to under UK law. 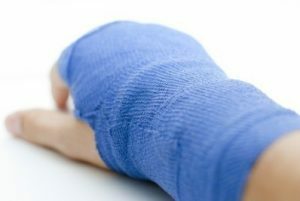 Our Dudley personal injury team specialise in all areas of personal injury and accident compensation including accidents at work, road traffic accident claims and trips slips and falls. We also have expertise in what might be considered more unusual claims such as asbestosis, industrial diseases and medical negligence. If you have had an accident and it was not your fault then we would be delighted to hear from you if you believe you have a good case and want to claim the compensation you are entitled to. As leading UK personal injury solicitors, we offer a range of services to our clients in Dudley that help them to recover from their injuries without the added worry about their financial circumstances and being able to support their family and pay the bills. Thanks to our no win no fee personal injury services, it means that should your claim be unsuccessful, there will be absolutely nothing to pay whatsoever. If you do win your case, all you will have to pay is a percentage of your claim which will all have been agreed before commencing with your claim. What does all this mean? It means that you have absolutely nothing to lose by taking out a personal injury claim with our Dudley personal injury team of solicitors. We will assess every aspect of your current situation and advise you whether we think that you have a strong case, or not so much. Once we know more about your claim, we may also be able to give you an idea that of the amount of compensation that you may be entitled to. Thanks to legislation such as the Health and Safety at Work Act and other health and safety legislation, accidents are becoming less common but they may still happen at anytime with sometimes devastating outcomes. You may be walking along the street, driving in your car or you may be at work. Whatever the result of your accident, it is crucial that you seek professional legal advice as soon as possible. Our Dudley personal injury team are experts in the personal injury sphere and are able to give you expert and free legal advice on how to make an effective claim for compensation along with giving you all the support you need throughout the entire process. Whilst it is true that some personal injury claims can be incredibly complex, thanks to our experience, we can explain what is happening to you in a clear and concise way and ensure that you get the compensation that you both deserve and are entitled to. Most people do not know how much their personal injury claim is worth. Although there are various websites and tools available that say they can give you an approximate value for your claim, the fact is that this is never as good as an experienced personal injury solicitor. Our personal injury solicitors will analyse your entire claim, look at the medical evidence for your injury and work out what sort of costs you have had to pay that you would not have otherwise done so if it were not for your accident. Added to this are the complex calculations that need to be done to work out your past loss of earnings and your possible future loss of earnings. As you can see, if you want to get the maximum amount of compensation for your injury, it pays to use a specialist personal injury solicitor. Whilst in theory it is possible for you to handle your own personal injury claim, in reality this would be unwise. A specialist personal injury solicitor, even compared to a general solicitor has a much better understanding of how the claims process works and can communicate this to you. This is vital as many personal injury cases can be somewhat complicated and drawn out. Hiring a specialist personal injury solicitor means that you are giving yourself the best chance of getting the best possible settlement because doing so relies knowing the ins and outs of the personal injury legal claims process. How bad would you feel if you didn’t use a specialist solicitor and then found out that you may have missed out potentially on tens of thousands of pounds compensation? Taking out a personal injury claim can sometimes end up in a battle. Often with insurance companies, if you don’t have someone who knows the ins and outs of personal injury law, they can often win cases altogether or minimise the amount of compensation paid out. Having a personal injury specialist solicitor on your side however dramatically increases your odds of winning your personal injury case and getting the compensation and justice that you deserve following your accident. If you have been in an accident that was not your fault, then don’t delay and get in touch with our specialist personal injury solicitors for Dudley today. You could be owed a lot of money so make a start on getting the justice and compensation that you are owed by contacting us today.